Description:These are really hard to find Parrott percussion fuses. 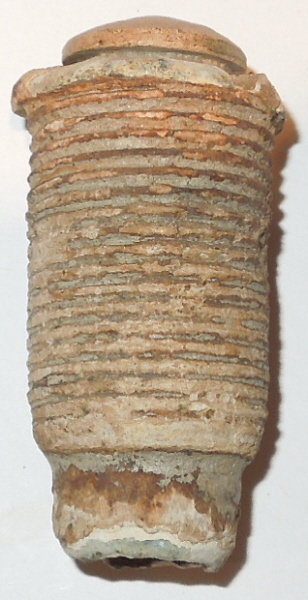 It represents a short lived transition from the 2 piece percussion fuse that sucked but required a ledge in the shell around which the tapered tail on this fuse could navigate. 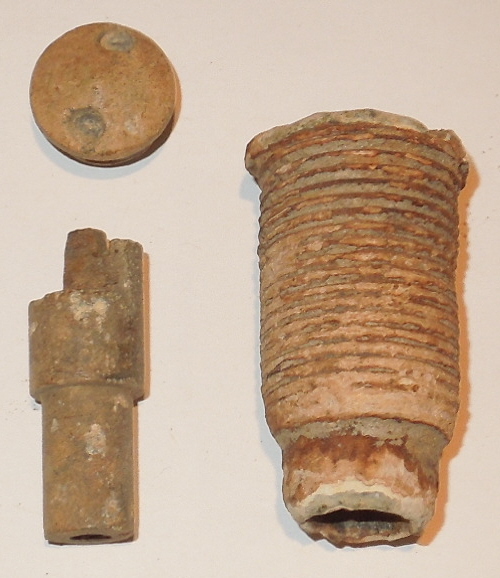 Not long after, the war department had had enough of Parrott's crummy percussion fuses and mandated use of better ones made by others like Schenkl. This one comes apart. The anvil cap is close for coloration but in nicer shape so probably a marriage. This is a tough fuse to find and a very good price even if the fuse body isn't mint.